This document provides information on how to give other users authoring access to a Pressbook you administer. Click My Catalog and select the book that you want to add another person to. 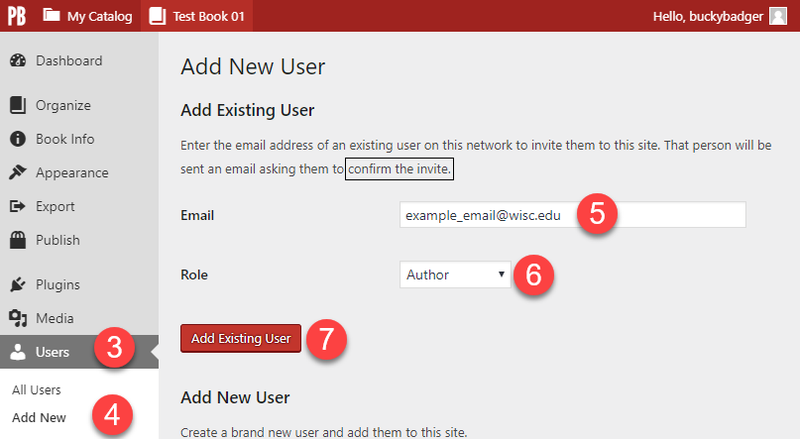 Enter the user's UW-Madison email in the Email entry field. 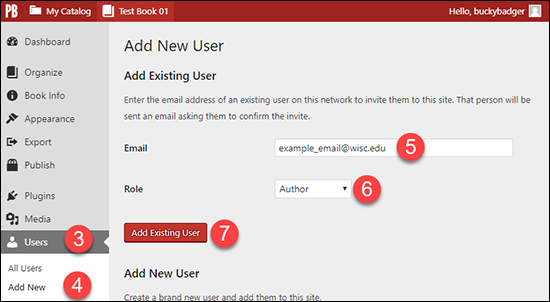 More information about adding users and the various roles is available in the Pressbooks Guide.